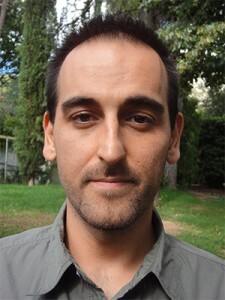 2008 – 2009 Science and Technology of Artistic Production, Bachelor of Education, Terni. R. Andrei, M. Callieri, I. Carlone, C. Caudai, S. Cianchetta, T. Loni, Yu Porozov, MF. Zini, M. Zoppè, “BioBlender. Molecular animation and scientific representation”, Blender Art Magazine, Issue 21, April 2009. M. Zoppè, Yu Porozov, R. Andrei, S. Cianchetta, M. F. Zini, T. Loni, C. Caudai, M. Callieri, “Using Blender for molecular animation and scientific representation”, Proceedings of the Blender Conference 2008. Blender, Gimp, Maya, 3D Studio Max, Mudbox, After Effects, Nuke, Photoshop, SynthEyes, Real Flow. C, C++, Python, Mel, Maya API, Blender API.